The orchestra will give 16 concerts in New York, California, Kansas, Nebraska, Missouri, Pennsylvania, Delaware and Florida. The Russian national orchestra will celebrate its 25th anniversary with a series of concert tours. One of the tours will travel to 16 U.S. cities from February 19-March 9, 2016, according to the orchestra’s press service. In the U.S., the orchestra will give concerts in 16 cities in California, Kansas, Nebraska, Missouri, Pennsylvania, Delaware and Florida and at Carnegie Hall in New York. The program includes music by Shostakovich, Tchaikovsky, Stravinsky, Mozart, Schumann, Borodin, Prokofiev, Glazunov and Mendelssohn. In the first part of the tour the conductor's stand will belong to world-famous musician Mikhail Pletnev, the artistic director and the founder of the orchestra. During the second half of the tour the Ukrainian maestro Kirill Karabits will take the helm. Soloists, including Chinese pianist Yuja Wang and U.S. violinist Stefan Jakiw, will accompany the tour. “After the American tour the orchestra will hold concerts in Switzerland,” Oleg Poltevsky, the director of the orchestra, told RIA Novosti. “Also in February the ceremony announcing the winners of the Grammy Awards will take place. The orchestra’s album featuring the ‘Leningrad’ Symphony by Shostakovich, also recognized as the best symphony album in France in 2015, is nominated for a Grammy Award this year." 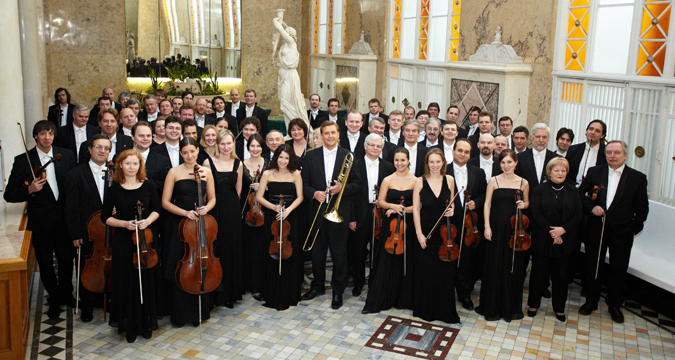 The Russian National Orchestra is the only Russian symphonic orchestra that has already won a Grammy.